Course Description: This course teaches programmers how to use the SOLIDWORKS Enterprise PDM API (Application Programming Interface) to automate and customize SOLIDWORKS Enterprise PDM. 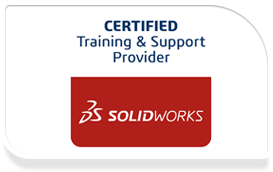 Prerequisites: The Administering SOLIDWORKS Enterprise PDM course, basic experience with the SOLIDWORKS Enterprise PDM software, experience with the Windows(R) operating system, and knowledge of a programming language, preferably Visual Basic™ 2005 or later. In order to get the most out of this class, students should be familiar with the concepts of interfaces, classes, structures, enumerations, collections and recursion.